Not many people are lucky enough to be born with the perfect set of teeth. Most of us deal with the common flaws that keep our smiles from looking way less than their best, ultimately stripping us of our confidence and self-esteem. It is, however, nothing a great dental team can’t fix. These days, it takes more than just a good dentist to make sure you are getting great dental care. You need an oral health therapist, too. Oral health therapists are dental professionals who have the combined education and training of both a dental hygienist and a dental therapist, and provide primary oral health care to both children and adults. Though a highly valued member of the dental team, it is pretty easy to confuse them with the other dental practitioners. Who are they, anyway? Dentists practise across the broad spectrum of dentistry within their training and competency. As such, they have extensive knowledge and skills that allow them to provide a range of services — from assessment and diagnosis, down to treatment, management, and preventive dentistry. On top of being experts in technical dentistry, however, they are also highly trained in understanding their patients’ needs and delivering care in a professional manner. Dental specialists are dentists who have pursued additional education and specialised training to practise in a particular area of dentistry. Pediatric dentists, for instance, deal with the dental needs of children, while endodontists are trained to perform root canals. Orthodontists specialise in correcting tooth alignment problems, while periodontists provide care related to gum diseases and dental implants. Dental hygienists are licensed dental professionals who usually work alongside dentists to help them focus more on doing advanced procedures. It is, therefore, quite common for them to perform preventive dental care, and educate and encourage patients of all ages on the so many ways to establish, improve, and maintain healthy oral habits. Much like dental hygienists, dental therapists are trained to provide services and take part in oral health promotion programs. But with appropriate training, they can perform extended duties — from routine and preventive treatments, to dental fillings and removal of teeth. To better appreciate the difference between an oral health therapist and the other dental practitioners, it is best to take a good look at what they actually do. Provide both children and adults with routine oral health care, which includes dental examinations, diagnoses, cleaning, scaling, polishing, cavity filling, and teeth extraction under local anaesthetic. Treat gum conditions through teeth and jaw x-rays, sealant application, and fluoride therapies. Bring other complex dental problems to the attention of the dentist and the rest of the dental team to make sure they provide the best possible care for their patients. Encourage people to maintain good oral health through oral health promotion, education, and information dissemination. Work with other health services and organisations to further improve the quality of dental care delivered across communities. Advise school canteen managers on healthy eating; work to make oral health a top priority at child and elderly care facilities, and other settings that support and work with people who do not have access to dental care; and coordinate with other health care providers to fully support oral health as part of general health. Oral health therapists have a strong preventive focus, and their active involvement in communicating the importance of oral health and fostering positive attitude towards it is what makes them an even more valuable part of the dental team. If that’s not reason enough to go see one, here are a few more. Why Go See an Oral Health Therapist? When it comes to oral health, prevention is always key. And everyone’s ability to prevent painful and costly dental problems relies heavily on good oral health knowledge, as well as affordable dental checkups. This is where oral health therapists come in. 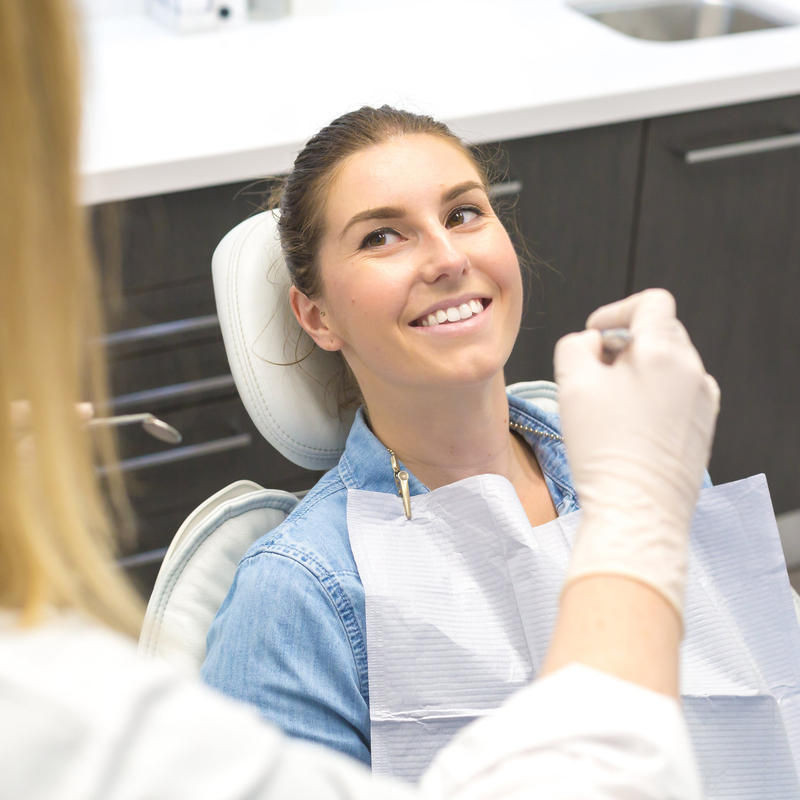 Dentists evaluate your dental health, recommend treatments, carry out procedures, advise when the need to see a specialist arises, and manage your overall dental care. They, however, often get the help of an oral health therapist for the exact, same reasons why you should go see one. Quality training. Equipped with years of education and the necessary qualifications, oral health therapists are as well-trained in dentistry as your dentists, and well-qualified to manage your dental checkups. Top-level expertise. You are guaranteed to achieve the best dental health possible. How so? Oral health therapists are constantly developing top-level expertise in both oral health and disease prevention. Time to care. Not only do they answer all of your questions, they also take the time to go through every detail of your dental needs until you feel comfortable with the procedures that will help you achieve your goals. Kid-friendly approach. Trained to treat children, oral health therapists also have a very kid-friendly approach to teaching dental care. Bring your kids to see one, and they will not only have fun, they will also leave with the knowledge they need to help them take good care of their teeth. Best patient care. With the oral health therapist overseeing the essential checkups, teeth cleaning, and maintenance, the dentist is able to focus more attention and time on other complex dental treatments, which then helps improve the quality and efficiency of patient care in the clinic. With dental checkups and dental knowledge, oral health therapists can help you get on the path to excellent oral health and a lifetime of healthy smiles. But of course, it all starts with that first visit. If you are anxious about your first visit, you are not alone. In fact, a good chunk of the world population experiences enough dentist-induced anxiety that they skip appointments until it is absolutely necessary. But with oral health therapists, you do not need to worry — not even one bit. The initial appointment with an oral health therapist is usually involves stress-free treatment. It begins with a thorough assessment of your oral health status. To get to know you and to better understand your concerns, they will ask a variety of questions — from diet and lifestyle choices, down to oral hygiene habits. Once that is sorted, they will assess the look and health of your teeth and gums. At this point, the oral health therapist will gather information, go over your x-ray results, determine risks of gum disease, and report findings with you. Should they find any signs, they will take measures to help improve the situation. This usually comes in the form of plaque and calculus removal above and below the gum line. Now some initial appointments end here, but many oral health therapists like to wrap things up by recommending a home care regime that suits their patients’ needs, and by demonstrating a maintenance program that is guaranteed to help keep their mouth healthy in between visits. 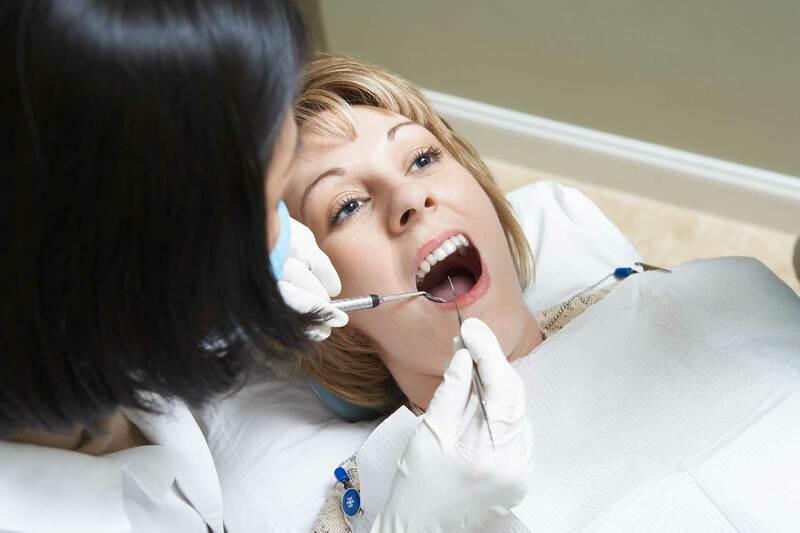 What procedure do oral health therapists perform? 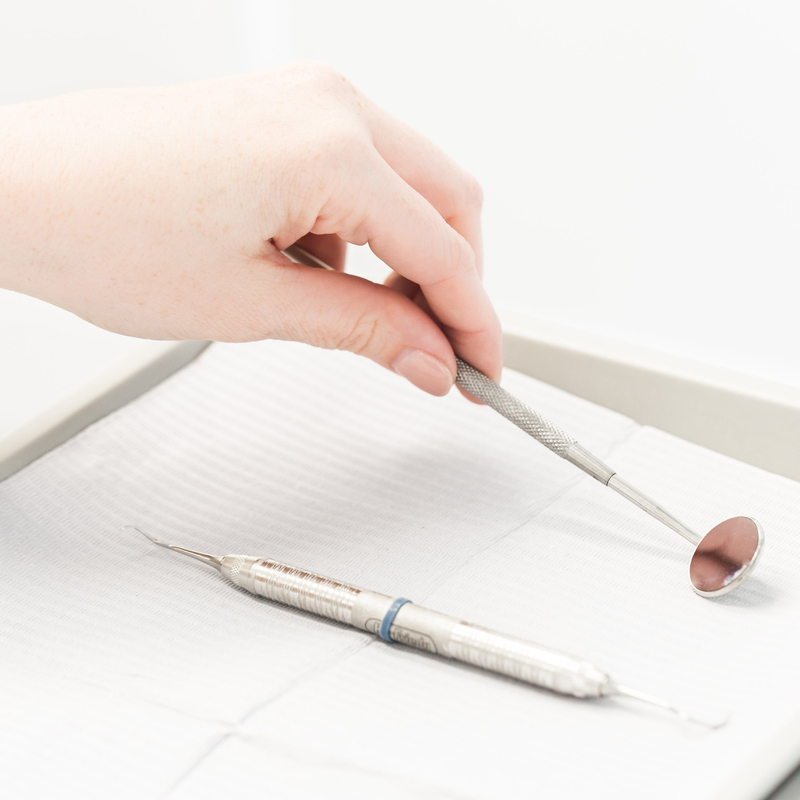 Oral health therapists practise in a range of activities, which include periodontal therapy, routine dentistry (e.g. fillings, extractions, etc. ), dental examinations, scaling and cleaning; teeth whitening, diet counseling, and personal home care recommendations. Most people find their visit to the oral health therapist to be an easy and stress-free experience. However, if you do find yourself uncomfortable with a particular treatment then it would be best to discuss it with them. They are equipped with various techniques, so they are always happy to make adjustments, as needed. How often do I need to go see an oral health therapist? We believe in prevention as the key to a healthy mouth, and so we highly encourage regular dental visits especially for hygiene treatments. Appointments may initially vary between three-monthly to six-monthly. Commit to seeing your oral health therapist, and you will get your oral health back on track in no time. Seeing an oral health therapist is paramount to your oral health. 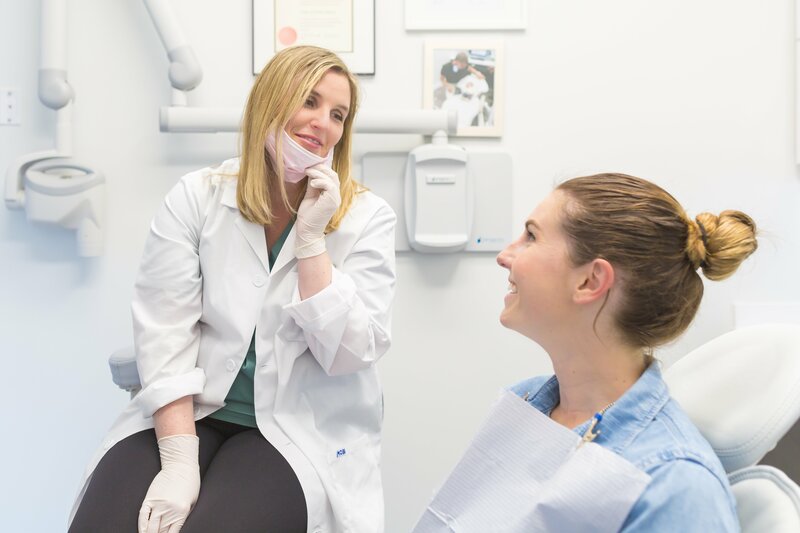 At Coburg Hill Oral Care, we have an amazing dental team — including oral health therapists — that is always around to make sure you are cared for. Click through to learn more about us or call us today at 9041 5301 to book an appointment.